LG officially launched the G Flex today in Korea. 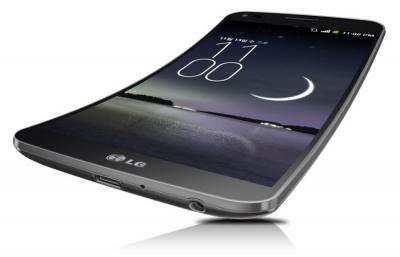 This is the first phone that uses LG Display's flexible plastic OLED display. The G Flex has a 6" 720p RGB flexible OLED display made by LG Display that is curved from top to bottom (unlike Samsung's Galaxy Round which is curved from left to right). Unlike Samsung, LG did specifically say this is a plastic-based display, but they too don't seem to mention the fact that it is shatterproof. The G Flex has a 2.3Ghz Snapdragon S800 CPU, 2GB of RAM, 32GB of internal memory, a 13MP camera, NFC, Android 4.2.2 and a 3500mAh non-removable battery (LG Chem's curved battery). 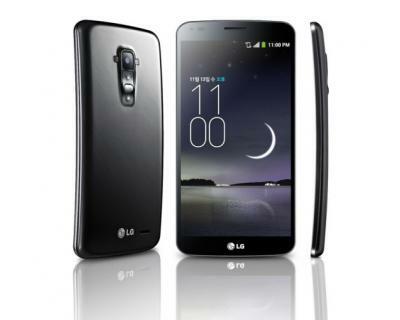 The G Flex has two rear-mounted buttons and a "self-healing" back (that will heal scratches quickly). The G Flex is currently launching in Korea only. It's likely that this (like Samsung's Galaxy Round) device is actually an advanced prototype launched just to gauge market reaction. LGD makes those flexible OLEDs at their 4.5-Gen line which has a capacity of 6,000 substrates a month. This means almost 400,000 6" panels a month - assuming 100% yields.